C'est Magnifique Scrapbook Kits and Store: August Kit Reveal! You've seen some great samples that our designers have created with the August Kit over the past several weeks. It's time to give you a look at everything you can find in the August Kits and to remind you of our Add-Ons. 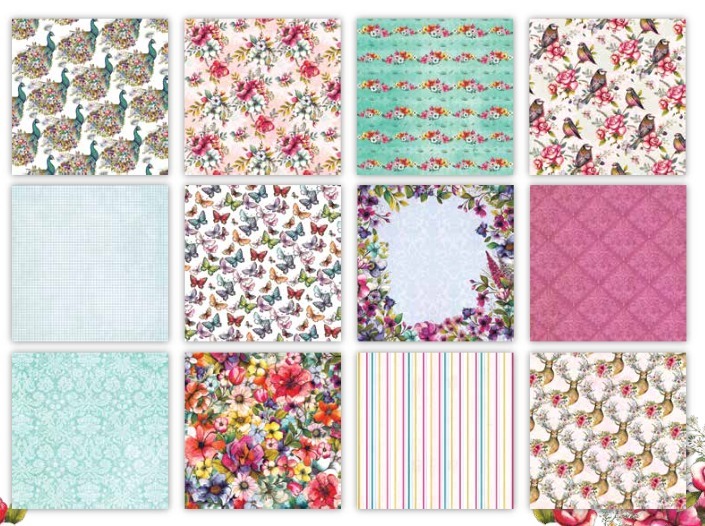 Dovecraft Bohemian Collection - A collection of enchanting designs featuring illustrative wildlife elements, floral prints and a variety of coordinating repeat patterns. 12x12 Premium Paper Pad. 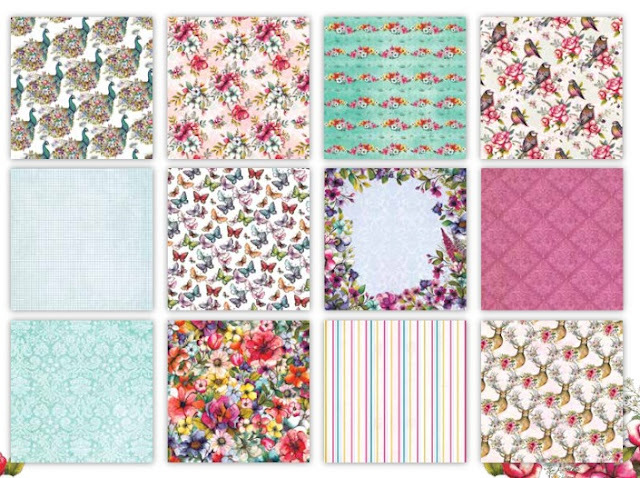 36 Patterned Papers: 3 Sheets of 12 Designs. The August Magnifique Mixed Media Kit is available now in our Store! Our Designer Djamila Khiter has created a preview video of the Mixed Media Kit! The August Magnifique Card Kit is available now in our Store! Our Designer Djamila Khiter has created a preview video of the Card Kit! We create a Flower Add-On each month for those of you who like extra flowers. 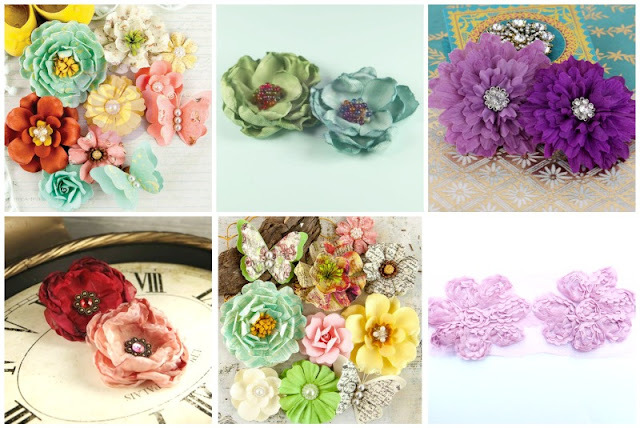 We have selected flowers that compliment the kit and put them together as an add-on. Lastly, we have an Embellishment Add-On so you can stretch your kit even further. Doesn't the August Kit look gorgeous? The Main Kit, Card Kit, Mixed Media Kit and Add-Ons are available from the C'est Magnifique Store while supplies last. Our talented design team will be back to inspire you with more projects using our August Kit. Until then, please enjoy these videos by designer Djamila Khiter, featuring an in-depth look at the August Main Kit contents! all the goodies in it. June Sketch Winner + Features + Card Kit Drawing!